Timely delivery of quality affordable services and products that meet the demanding requirements of the automation generation. Konnis, LLC was started in 2006 from a vision of providing higher quality service and repairs for the Tecan line of liquid handling instruments. Konnis® was fueled by the idea that quality could be affordable and the end users of the equipment were an excellent source of information on what the market lacked. Starting out as a service and repair organization, Konnis has evolved into a full fledged machining and custom instrumentation company. With a cumulative 30+ years of liquid handling automation experience the Konnis team is excited to rise to the challenge of creating solutions for the life sciences market. 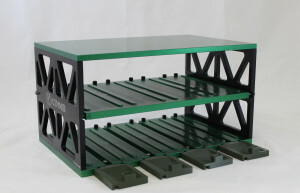 Konnis does not attempt to be the “jack of all trades” we are the “master of liquid handling instruments”. That is why our customers have selected us and stay with us for their liquid handing needs. Konnis is an independent 3rd party service provider not affiliated with any specific original equipment manufacturer (OEM). Traditional carriers and adapters for automation may not meet the requirements to fully automate the assay. Click on the image below to watch our example of rapid prototyping to design and manufacture exactly what your automation process requires.